Our Robotics Camp will bring Science, Technology, Engineering and Fun to life through hands on learning with Robots. 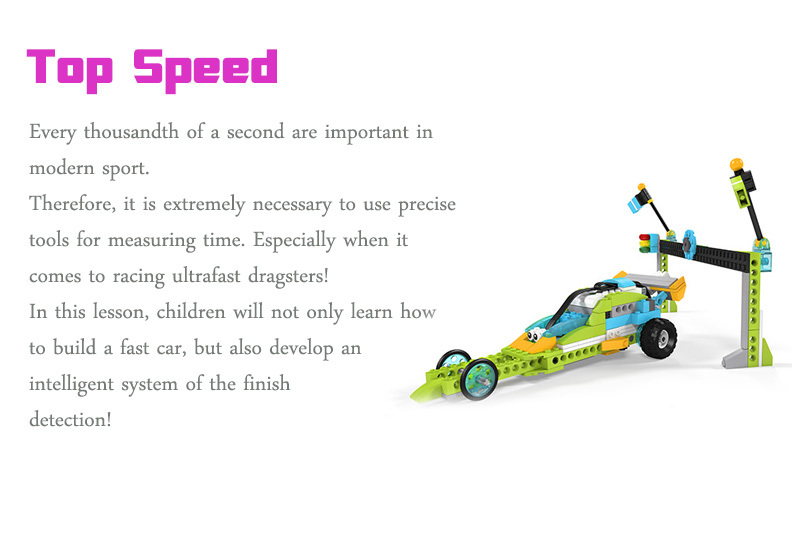 Children will learn to build and program various robots with Lego Robotics . They will also LEARN THE LINK BETWEEN COMPUTERS AND ROBOTS using basic visual programming. Children will also learn about Sensors, Motors and much more as they learn how to build and program their own bot! This camp be the START where you build the foundation for your child's love for technology and engineering. Every day kids make a new robot with a certain functionality. We start with a problem that kids should solve using new knowledge, skills, teamwork and creativity. Below are some of the bots students will build during the camp. The camp requires a laptop computer and a Chrome (29+), Firefox (30+), Safari (7+), or Internet Explorer (10+) browser. Courses are not supported on tablets.